Gather your materials. 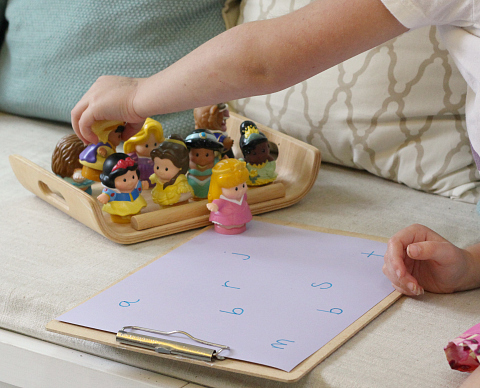 I grabbed all her Little People princesses, a sheet of card stock, a marker, a clip board, and a tray for the princesses. 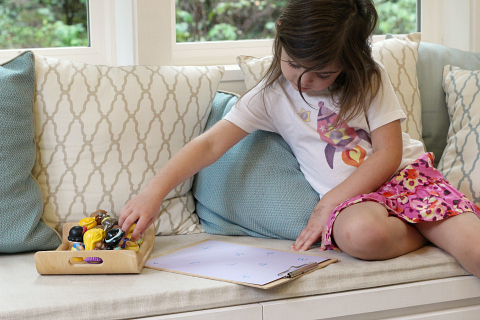 I set this up in our sun room right where we have to pop on shoes before leaving for preschool because that’s been a challenge for us lately. I decided to lure her to where I wanted her to be without a struggle. This did the trick. 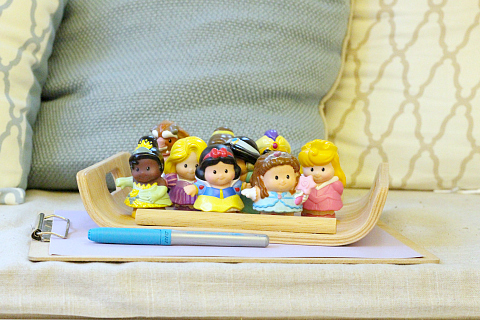 I wrote out the first letter of each Princess ( or prince) on the paper. She played as she matched up. 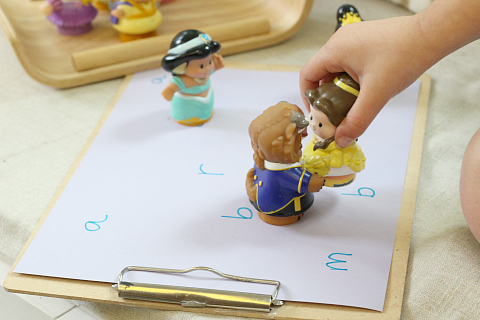 Belle and The Beast were very happy to see that their letters were so close together. The other issue that popped up was that my daughter is starting to break words down and she wanted to match up the 2nd, 3rd, and last sounds she heard in the names. This derails the activity m but in a completely awesome way. Stop and chat about all the sounds if they do this. 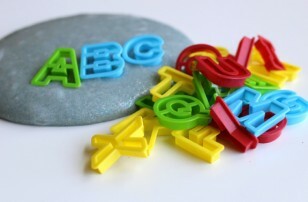 When children start noticing things like this jump on it but only when they are ready. With my daughter we talked about how she could hear a r in Aurora, and d sound in Aladdin. Listen carefully and even if it’s not completely in line with the lesson follow their lead. 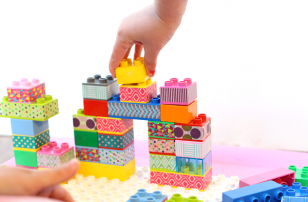 And make sure that you set this out with plenty of time to play before preschool… we were a little later than usual that day. I had no idea she’d play so many times. 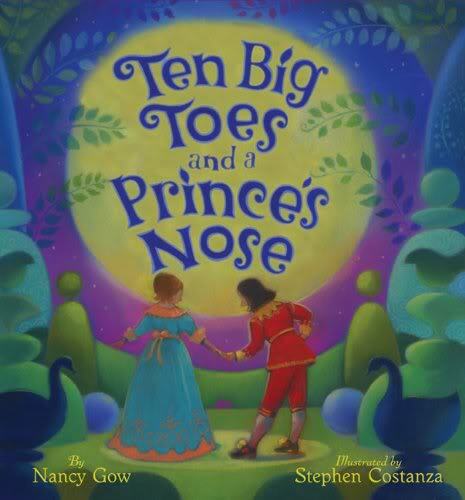 Ten Big Toes and a Prince”™s Nose by Nancy Gow is a story about two very different fairytale characters. They may be a prince and a princess but they are definitely different . 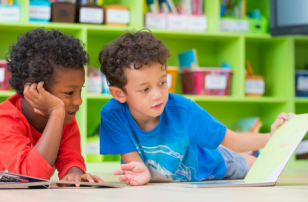 I love the book”™s rhyme ” I am what I am and that”™s alright with me.” which is such a fantastic message to self acceptance and before confidence can be built we must accept who and what we are . The love story is pretty cute too, it is a fairytale after all. 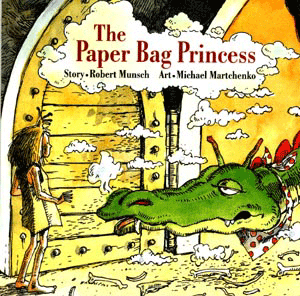 The Paper Bag Princess by Robert Munsch has enchanted me for years. I bought it while volunteering as a leader in training at a day camp when I was a teen. It”™s followed me to many schools, children I babysat and finally my own son. I can”™t remember one child ever not liking it. It”™s a story of Elizabeth a princess who outwits a dragon to rescue her prince. I love that the author has switched the typical damsel in distress and has the princess as the heroine. Some parents have expressed concern about Elizabeth calling the prince a “Bum” in the end of the book, personally I love it. I have always used it to explain why she was so angry, and as a reminder why calling names hurt. That said I think she is totally justified ! 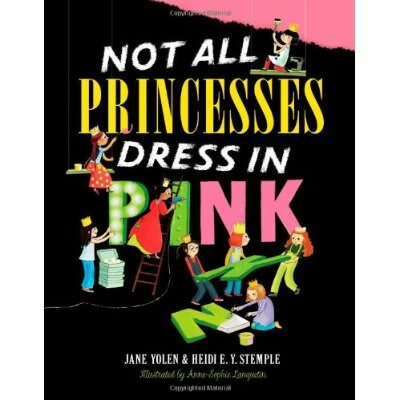 Not All Princesses Dress in Pink by Jane Yolen .This book is not so much about being different and facing adversity but about being yourself even if the world has decided you should fit perfectly into the mold it”™s given you. When we think of Princesses we think pink, sparkly and dry clean only! These princesses can”™t be pigeonholed, they do what”™s in their heart not what”™s expected of them just because they are princesses. 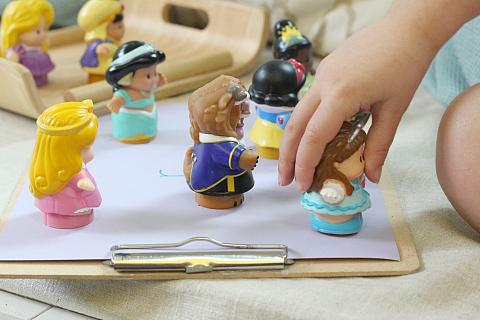 The princesses have all different interests, all different looks and I love that there are some with glasses too. Strong girls being themselves isn”™t too different but for a book about princesses it is and it”™s refreshing to read. 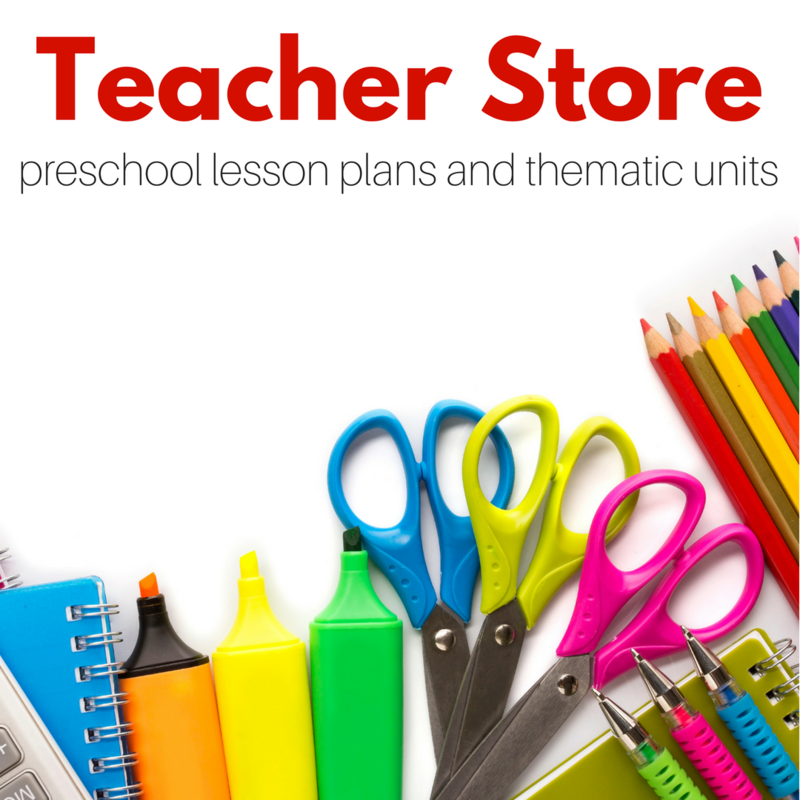 This supply list contains quick affiliate links to items used in the post. 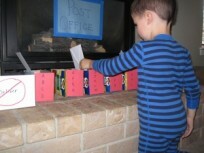 I loved this game and I knew my kids would as well. We don’t have these little people though. After seriously considering buying them (they are SO cute) I decided to find an alternative. 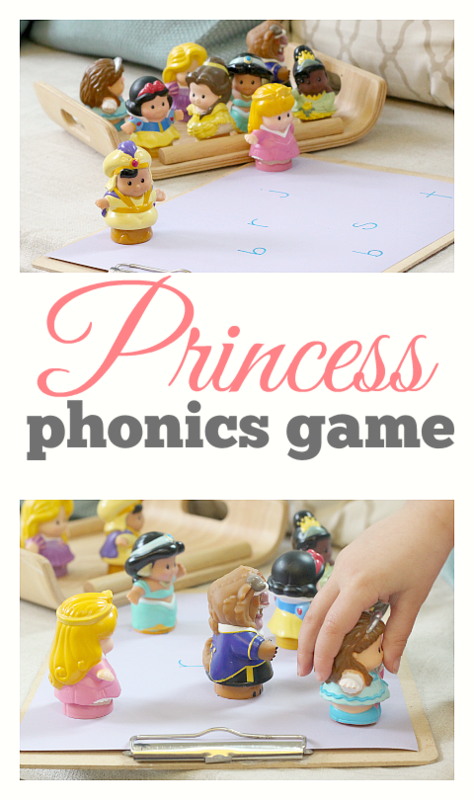 The princess matching game cards work perfectly for this activity! 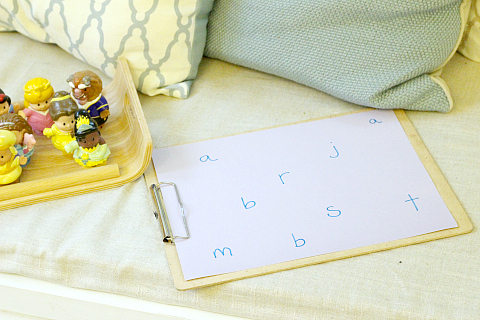 There are so many types this becomes a personalized phonics game for any kid! Thanks for always having outstanding ideas! 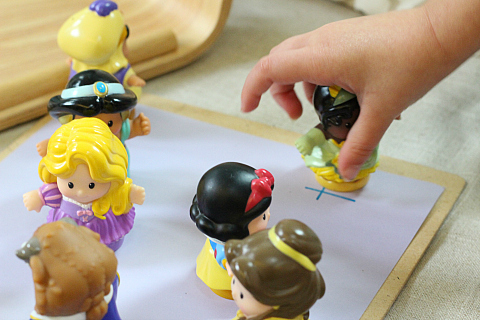 This may sound so silly, but what is theprincess in blue dress? 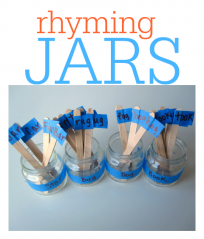 My daughter has the others and I love the idea for this activity. She would too. Thanks. Not silly at all – she is just a generic princess who we named after a friend. She came with some Little People set, maybe a carriage?